Previous Occupation: He was Associate Counsel to the Subcommittee on the Study of Monopoly Power of the Judiciary Committee of the U.S. House of Representatives, 1951-1952, and a member of the Attorney General' s National Committee to Study Antitrust Law, 1953-1955. Previous Office: From 1970-1975, he served as a Judge of the United States Court of Appeals for the Seventh Circuit. President Ford nominated him as an Associate Justice of the Supreme Court, and he took his seat December 19, 1975. Education: He received an A.B. from the University of Chicago, and a J.D. from Northwestern University School of Law. Spouse: He married Maryan Mulholland, and has four children-John Joseph (deceased), Kathryn, Elizabeth Jane, and Susan Roberta. 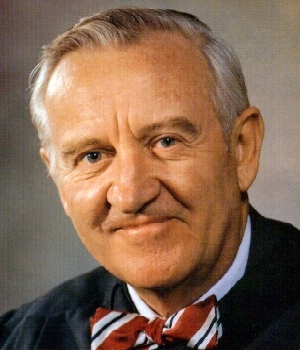 Click here for The Forum discussion on John Paul Stevens. Click here for VoteMatch responses by John Paul Stevens.